Solanum lycopersicum. Purple/Brown. 70-80 days. Indet. Plants are high yielding of large globes with a rich brown color. 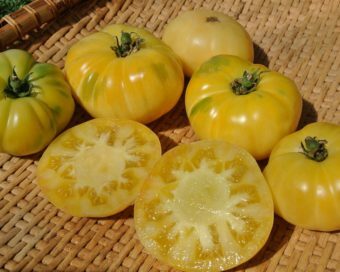 Excellent, complex, and delicious flavor common to many so-called black tomatoes. 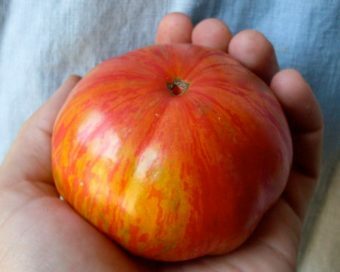 Latvian heirloom that consistently grows very well here in the Willamette Valley. 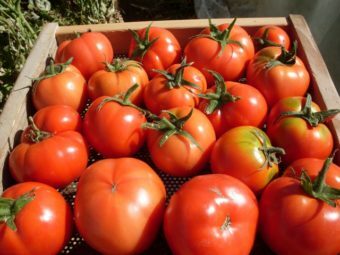 We have found it to be one of the most reliable and best producers of this type. Reminiscent of the classic variety, Cherokee Purple, but we like it much better. Given to The Seed Ambassadors Project by the Irish Seed Savers Association. Sow indoors in flats with good potting soil as early as February, but no later than April. Keep warm and well-watered. Transplant seedlings into 4” pots when they have their first two true leaves. Transplant into the garden after danger of frost has past, typically late May in western Oregon. Collect seeds from ripe fruit. Place in a small jar and add 50% more water. Wait for mold to form. When seeds sink and gel-sac is gone, decant to clean and dry on windowsill. Sokolades has been an amazing plant and fruit so far this season. We planted both in the ground and in container. The container plant actually seems to do, or is doing, better than the one in the ground. There must be 40 tomatoes on this one plant in the container. 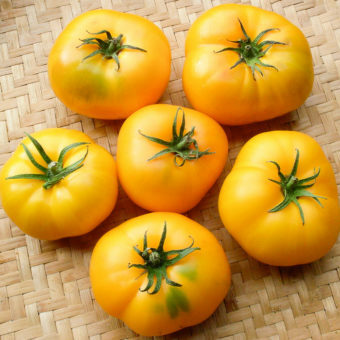 The taste is delicious, as good or better than any black tomato we have trialed in the past.